Typically used in the communication business for cleaning pipes prior to insertion of cables etc by being pulled through the pipe using a rope eye or rod system. 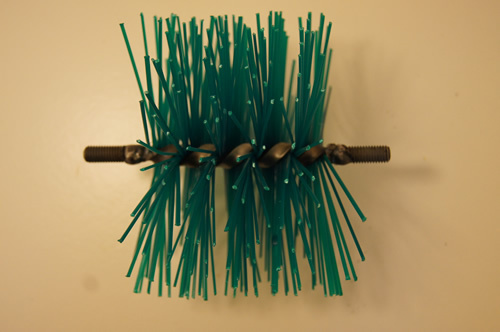 Made with polypropylene bristles, densely packed and glued within the spiral to give additional strength and durability. Standard brushes use a .055″ polypropylene bristle and 8mm threads at both ends. Bespoke sizes and alternative threaded ends can be fitted, contact us with your requirements.